Gorgeously feminine handmade skincare, scented with the heady scent of roses. 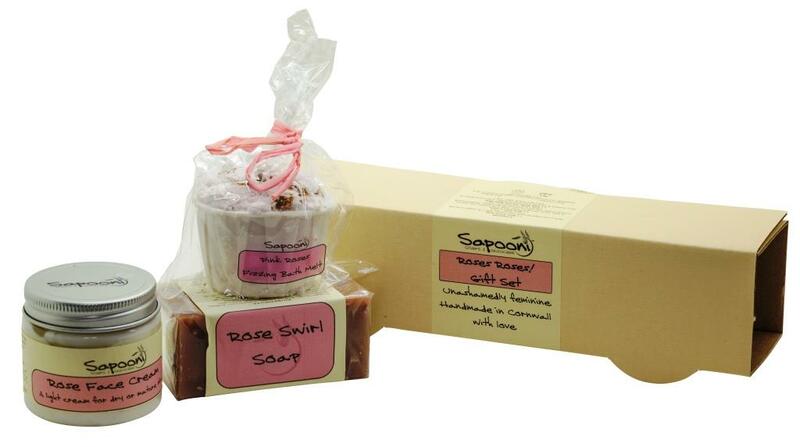 This Roses Gift Box includes a soap, fizzing bath melt, and nourishing hand cream. 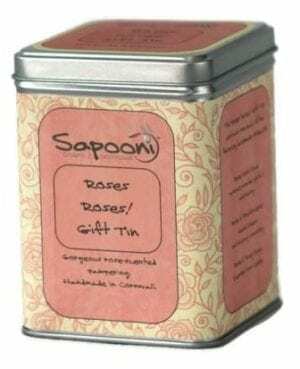 Gorgeously feminine handmade skincare, infused with the delicate, timeless scent of roses. 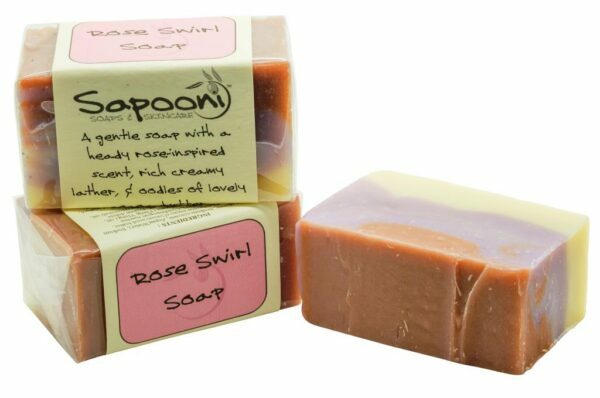 Rose Swirl Soap; This is definitely one for the girls, with swirls of rosy pink, pale pink & ivory. A gentle soap made with olive oil and coconut oil to give it a rich creamy lather. Scented with natural essential oils, it’s scent is inspired by the heady, musky sweetness of dew-soaked summer roses. 90g bar. Rose Face Cream; A light and easily absorbed day cream, formulated with over 90% Organic ingredients. 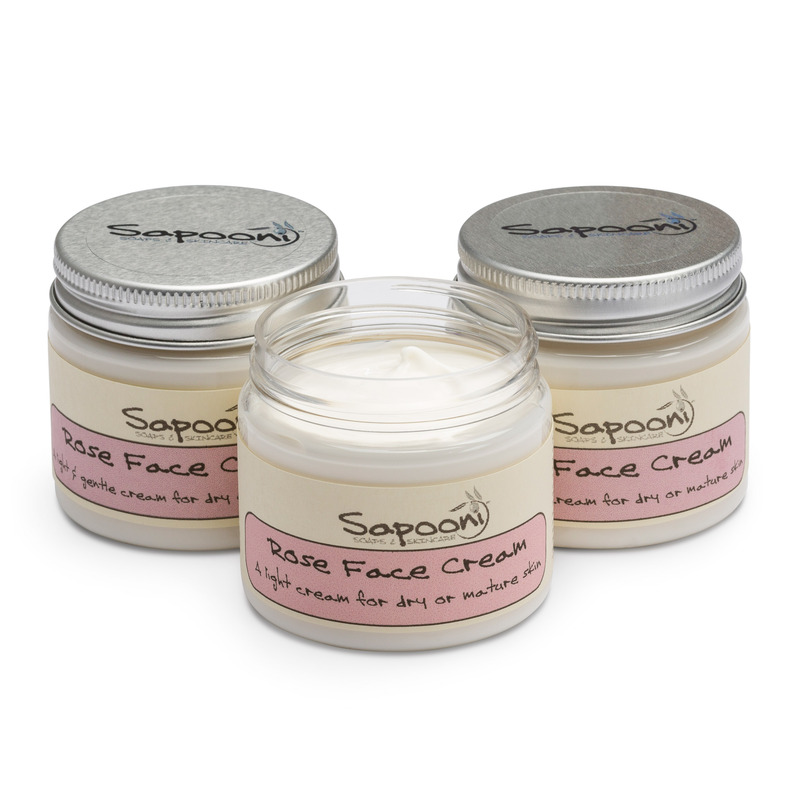 The cream base ingredients include olive, flax and sunflower oils in addition to Shea and Cocoa butters. Scented with a gorgeous Rose Absolute, combined with just a hint of sensuous Sandalwood and Ylang Ylang essential oils. 60g jar. 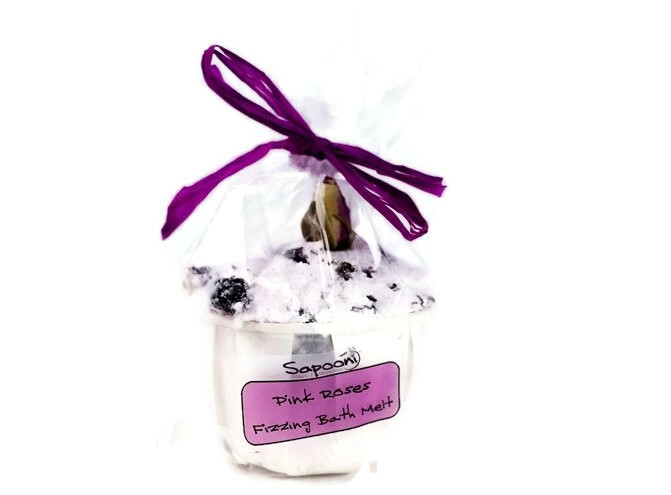 Pink Roses Fizzing Bath Melt; With the timeless scent of an English rose garden, and studded with dried rose petals. 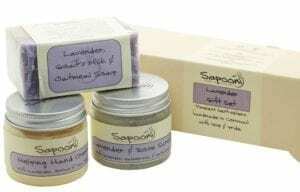 Our bath melts are little pots of bathtime heaven; gorgeously scented, they soften the water as they fizz away, adding oodles of cocoa butter to the water which will leave your skin feeling really soft and pampered. 70g.